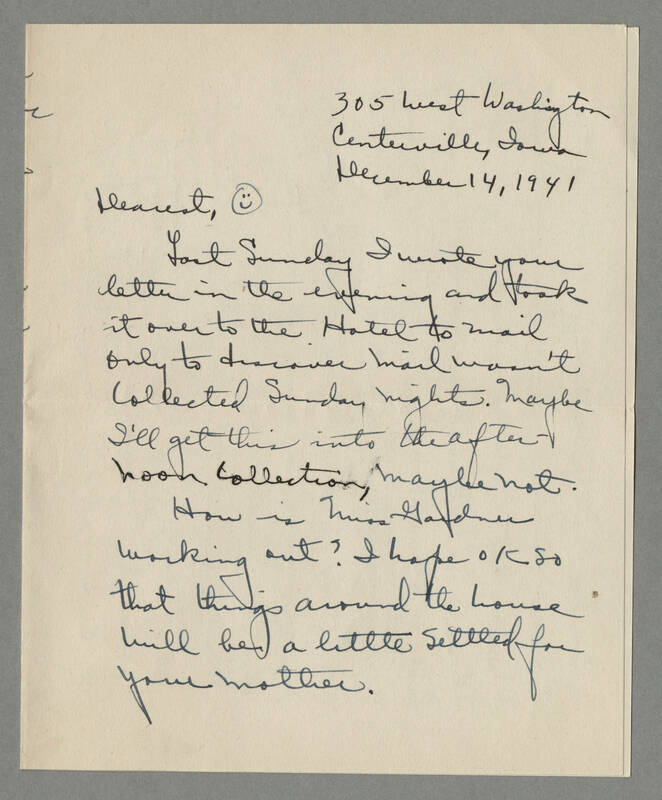 305 West Washington Centerville, Iowa December 14, 1941 Dearest, [drawn smiley face] Last Sunday I wrote your letter in the evening and took it over to the Hotel to mail only to discover mail wasn't collected Sunday nights. Maybe I'll get this into the afternoon collection, maybe not. How is Miss Gardner working out? I hope OK so that things around the house will be a little settled for your mother.